Are you an ambitious, fascinated and proactive job seeker? Here is an opportunity for you! An emplacement notification for the BSF recruitment for 2019 is released for the year 2019 for fill 01 posting for the position of the Law Officer. The last day for applying for the post is on 30thj of June and it is completely an offline process. The eligible candidate will be selected based on their performance on the written exam or the personal interview. Law officer grade II The candidate should have completed Degree in Law with good academic records from well-recognized university/ Board/ Institute as per the applied posts. An officer with a degree in law and a minimum experience of 6 years as a persecution Counsel in the pay scale of Rs. 8,000 to Rs. 13,500/- under the Central Government or a State Government. Essential: Degree in Law, a minimum of 6 years experience in legal affairs and should be qualified for enrolment as an advocate. A postgraduate degree in law and 2 years experience in dealing with trials under special laws related to any armed force. For specific information, the candidate may check the official notification. Step 2: Click on the “Careers” and open the official notification and look for the eligibility and apply for the post by filling the essentials details without any mistakes. Step 3: Look for the required documents to be attached and make them ready to apply for the post. When you have successfully completed the details and attached all the documents send them to the below address and keep updated with the official website and given mail ID and phone number to know the further information about the job. 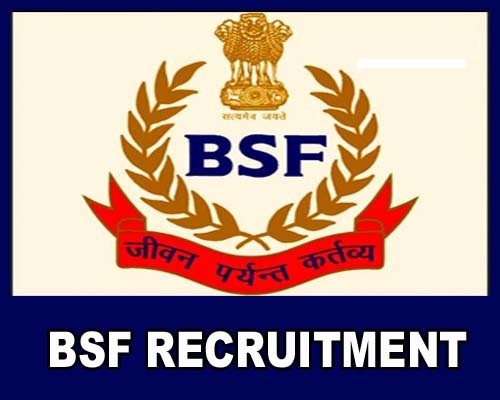 Selection for the post of BSF Law Officer Recruitment 2019 will be based on the performance of the candidate based on the written exam and interview.